We’re all gonna go sometime. 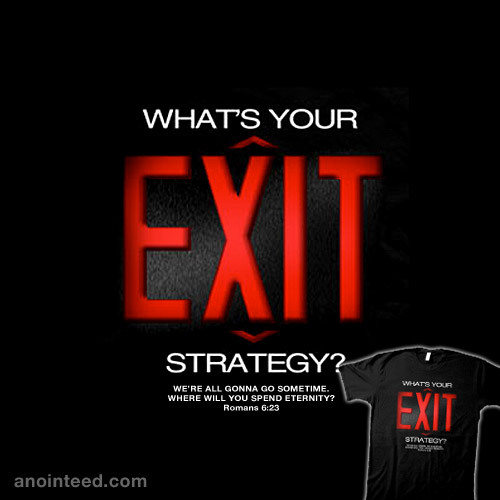 Our Exit Strategy Christian t-shirt is a reminder that this world is fleeting and we need a Savior for the life after. Romans 6:23 “For the wages of sin is death, but the gift of God is eternal life through Jesus Christ our Lord” is the verse behind his eye catching t-shirt.